This is the fourth story in a series featuring Iowa State National Society of Black Engineers members who are leading NSBE’s mission at Iowa State — and at the regional and national level. Click here for the first, second and third story in the series. Aaron Hudgins, a senior in mechanical engineering, serves as the NSBE Missouri Zone Chair for Region V. In this position, he communicates between the regional board and the chapters within North Dakota, South Dakota, Iowa, Missouri and part of Nebraska. Hudgins listens to concerns from the chapters to inform the regional board, keeps chapters on track and ensures recruitment and retention efforts are continual at the chapter levels. Hudgins first learned about NSBE through NSBE Junior, a program that now starts at the middle school level, teaching students about STEM fields and engineering. “The main reason that NSBE exists, in my eyes, in to make engineering a household name in black communities,” Hudgins said. As a native of Kansas City, Missouri, Hudgins saw, firsthand, the lack of opportunities for professional development in his community. For that reason, he is passionate about NSBE’s visits to middle schools and high schools to influence kids in the community and teach them about STEM fields. “It’s not common for a young black male in Kansas City to become an engineer, or even go to college,” Hudgins said. 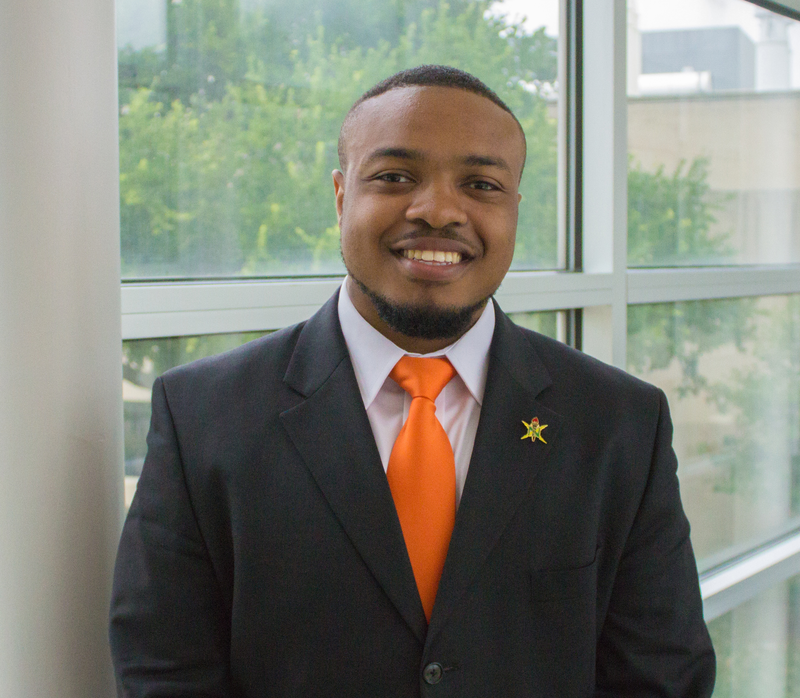 After learning about NSBE in high school, Hudgins sought leaders of NSBE during his second semester at Iowa State, when he became a member and attended the National Convention in Nashville, Tennessee. “It’s a very professional organization, and the people that you get to work with are phenomenal,” Hudgins said. Since his first convention, Hudgins has served as finance chair, treasurer, vice chairperson and now Missouri Zone Chair. Hudgins urges students to participate in NSBE and push the mission, from elementary students to lifetime members. “As long as you’re committed to the organization, you can go a long way,” Hudgins said. For more information about NSBE, visit nsbe.org or attend a general assembly meeting, held every other Thursday evening in Marston Hall. There are no membership restrictions for NSBE, and any member can run for a chapter officer position, which take place at the end of the spring semester each year.